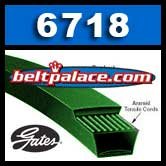 6718 PoweRated V-Belts, Kevlar/Aramid construction. 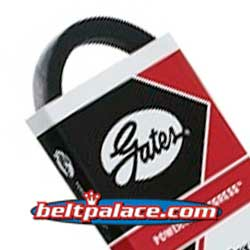 Gates 3L180K (6718) Powerated V-Belt Part# 84236718. 3L180 FHP V-Belt. Consumer Brand. 3/8" W x 18� Overall Length. Standard Duty FHP construction. Power Tool (Grizzly) PVM180 Belt. Gates Truflex 1180, Gates Part 8400-1180.